3 bed. 3 bth. 148 sqmt. Peninsula and Island Villas offer a choice of luxury two, three or four bedroom villas, featuring private berths or beachfront access as well as swimming pools, sundecks and private gardens. 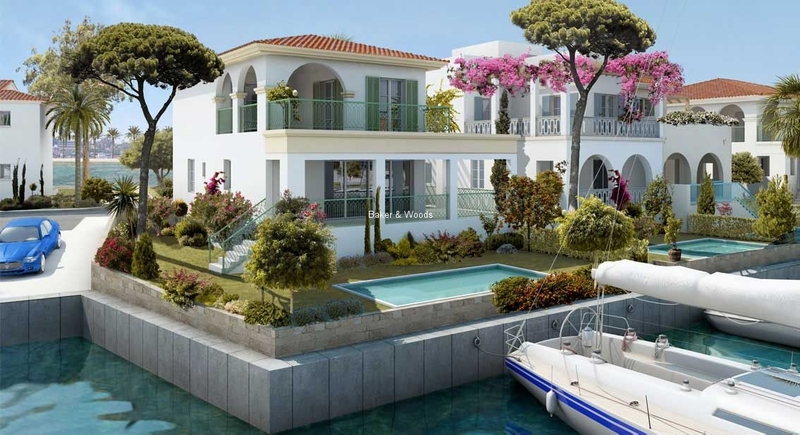 An exclusive waterfront development combining elegant residences and a full service marina, with its own shopping and dining area in the heart of Limassol. A capacity of 650 berths - the first superyacht marina in Cyprus accommodating yachts up to 110m, managed by Camper & Nicholsons, in partnership with Francoudi & Stephanou Marinas. Shopping and dining area, fitness and spa, cultural centre and public parking. 24 hour security and concierge services. Show apartments and villa available for bespoke viewings.